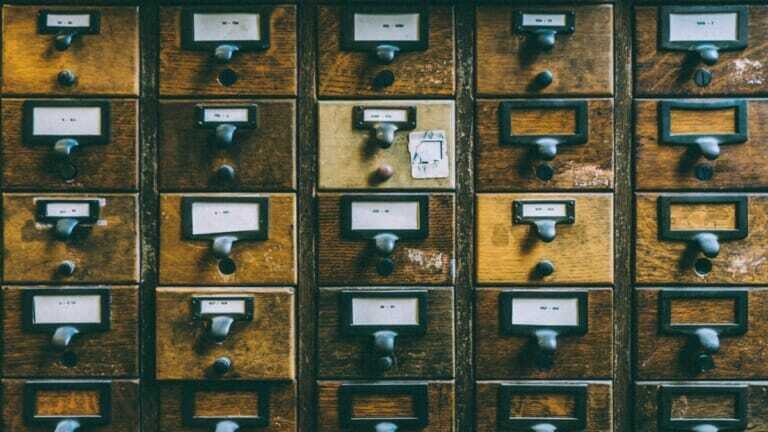 Why Switch to a Quicken Alternative? 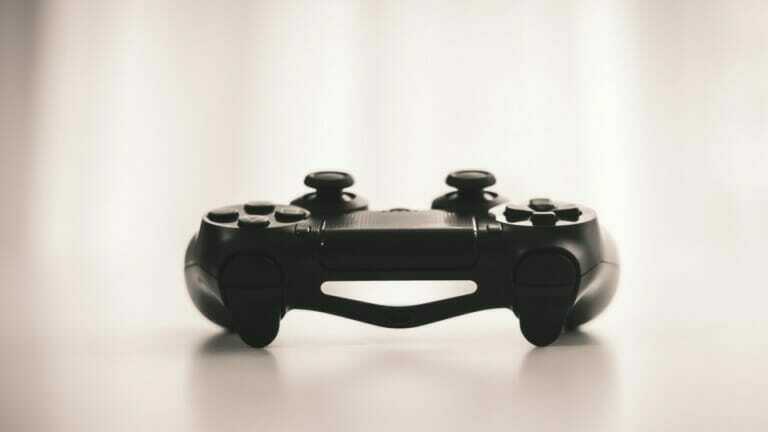 Quicken was the only game in town for years, but that’s changed. There some of the best Quicken alternatives out there that can help you manage your money better. Quicken is personal finance software developed by Intuit, also the people behind Turbo Tax, in 1982. Quicken was sold off by Intuit recently. Intuit owns Mint and wants to focus on that kind of cloud-based service rather than old-school desktop software like Quicken. For many years, Quicken had a lock on the market but there is a lot of competition around now, and much of it is free. There are several versions of Quicken, and they range from around $40 up to around $165. The basic version allows you to track and pay bills, set up bill alerts, automatically import transactions, categorize spending, create a budget, and gives you your credit score. Since Intuit sold Quicken, no one is sure of its future. 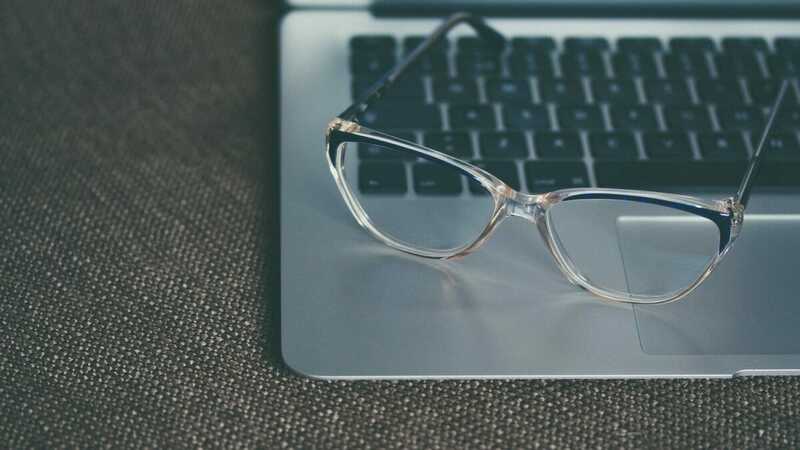 That desktop based technology is becoming increasingly outdated, so it’s not outside the realm of possibility that the program will be discontinued. Having to download budgeting software to track finances seems wildly outdated. So does having to pay to track your finances. If you want to use the Quicken mobile app, you still have to buy the software and sync it with your home computer. If all this sounds like a hassle, check out some Quicken alternatives for your money management. Personal Capital is our favorite and it’s free to use. Whereas some quicken alternatives only focus on spending, Personal Capital also focuses on investing and retirement planning tool as well. Your overview will show your expenses and your investment portfolio. With Personal Capital you can see your entire financial life in one place. We love it because you get so many powerful financial tools for free. We’ve talked about how deadly investing fees can be to your savings, and Personal Capital has a fee analyzer to show just how much you’re paying. The site will also help you set an asset allocation. 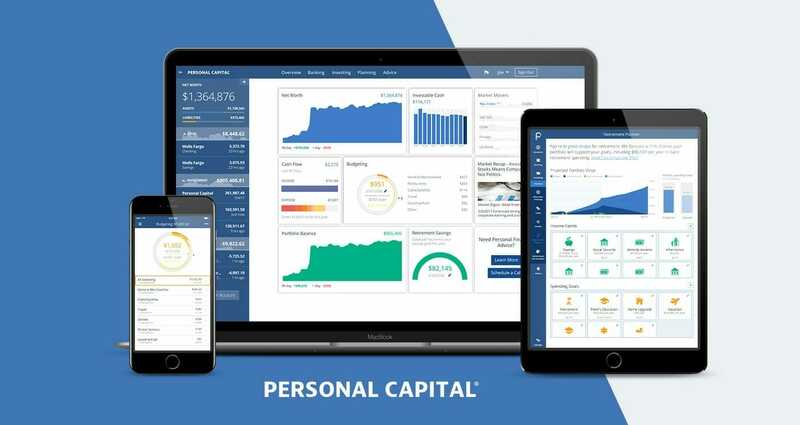 Personal Capital also has the typical budgeting software features like a list of bills coming due. You will also get regular summaries of both your spending and your investing portfolio. We love Personal Capital so much because it ticks a lot of boxes and will really help you reach your financial goals. All you have to do is link it to your online banking accounts – checking, savings, credit and investment accounts and Personal Capital will do all the heavy lifting for you. It uses all your financial data to help you prepare for retirement and help you optimize your investment strategy. Here is our full in-depth review if you are interested in learning more. See all your account balances and transactions in one place to know exactly where your money is going. Moneyspire also allows you to set up bill reminders so never forget to pay a bill again. One stand out feature of Moneyspire is there is no subscription. Once you buy it’s yours to keep and use forever. If you are already using Quicken and dread switching over to a new product, no worries. Moneyspire lets you easily move from your existing personal finance software with its extensive importing options. Mint seems like the natural choice since it is owned by Intuit. Mint is free and an excellent way to budget your money and track every dollar you spend. Mint is what we have recommended for a long time. It’s easy to use and has a lot of neat features that can help keep your spending on track like weekly spending summaries, fee alerts, alerts when you get close to and go over a budget category, and your credit score. Your transactions sync automatically, so you don’t have to enter things in manually. Mint has recently introduced Mint Bills which allows you to receive notifications of bills due and to pay them online. You can set up goals in Mint, things like saving for a down payment or paying off credit card debt and see your progress towards those goals. Where Mint falls short is in offering investment tools. There are better services for that which we’ll explore. You can’t import data from another site or software into Mint so if you’re using Quicken and want to continue to have access to that data; Mint will not be ideal. While Mint mostly does the work for you, sometimes it categorizes expenses wrong, and you have to go in manually to correct them. You Need a Budget (YNAB) is an online budgeting tool that follows the zero dollar system. The cost is $5 per month or $50 per year. You can test drive it for 34 days free trial. If you need to pay off debt or if you have irregular income (freelancers, real estate agents, etc.inputed) YNAB is a great system. You are budgeting with the money you made the previous month, not the money you will be making the following month. YNAB is primarily for budgeting, and much of the data has inputted manually. This makes you much more aware of your spending because you have to log in transactions instead of having them automatically downloaded. If you have trouble keeping up with your budget, you may give up on YNAB because you don’t want to have to manually input transactions. YNAB doesn’t track investments; it’s primarily a budgeting system. CountAbout does allow you to import data from Quicken so for many of you, not matter what else is good or bad about it; this is all that will matter. CountAbout isn’t free to use, but it’s not terribly expensive either. The Basic program costs just $9.99 a year and Premium is $39.99 per year. The basic service does not include automatic downloading of transactions from banks, credit cards, etc. so unless you want to manually enter data, you’ll need to pay for the upgrade. 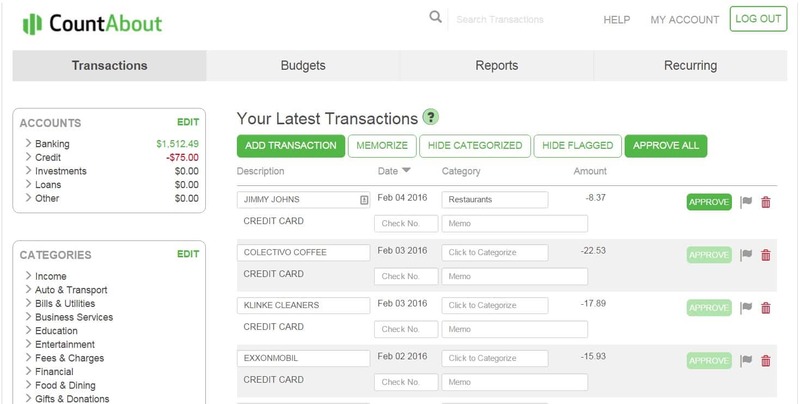 CountAbout lets you track spending, create and manage budgets and set your categories. You can’t transfer money between accounts or pay bills through CountAbout. 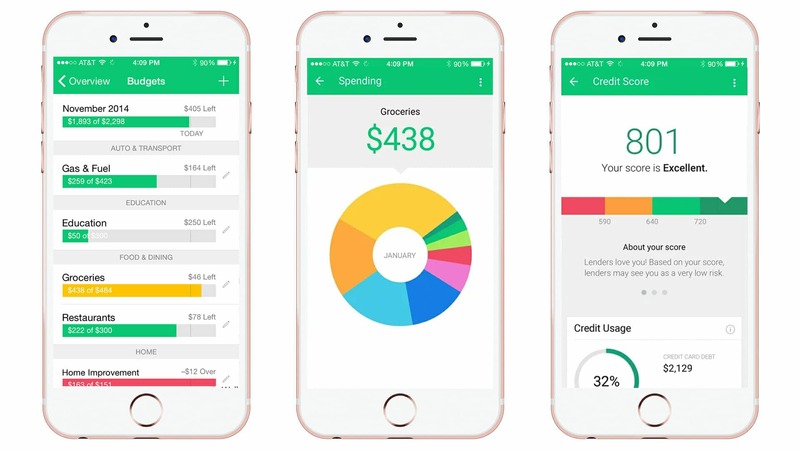 CountAbout, like Mint, is primarily a budgeting app and doesn’t offer investing help. GnuCash is a full on accounting program so if you want something that is more like a bookkeeping system and less like a budgeting system; this is a good alternative to Quicken. GnuCash is free to download. It does have a budgeting feature that allows you to track bank accounts, stocks, income, and expenses. And it also handles small business stuff like multi-entry bookkeeping and printing checks. It can import transactions and even give you stock quotes. You can set up several account types both for personal and small business including credit cards, investment accounts, accounts receivable and payable. 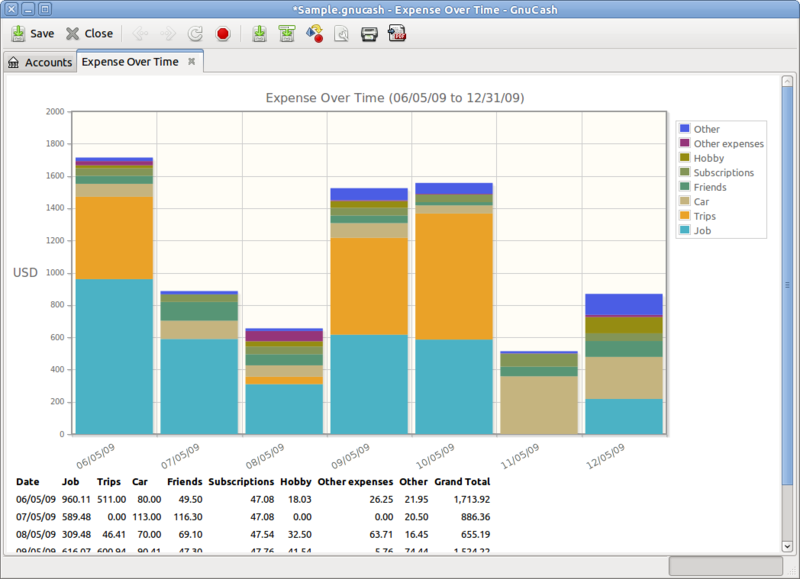 GnuCash has a lot of features for small business bookkeeping including invoicing, billing terms, and payroll. You can generate custom reports both for personal and small business finances like income and cash flow, net worth, income statements, receivables and payables aging, and balance sheets. The only real niggle is that it’s not quite as customizable as some paid-for rivals, especially when it comes to invoice design. FreshBooks is not a full on accounting program, rather it’s an invoicing app that includes some basic bookkeeping functions. There are three tiers of service ranging from $15 to $50 per month and a free 30 day trial of all tiers. It’s a cloud-based service so there is no financial software to download. You can invoice your clients (how many clients depends on the tier you subscribe to) and save the information for future invoices. You can track outstanding invoices and re-send them automatically after 30 and 45 days. FreshBooks works with several merchant account providers including PayPal, Google Checkout, iTransact, and Authorize.net. You can time track, manage expenses. It syncs bank and credit card transactions. You can integrate information from accounting programs like QuickBooks and Xero. Apart from invoicing FreshBooks features time tracking, expense tracking, credit card processing. Xero is a cloud based accounting system founded in 2006. It is a true accounting program for small businesses, not just a budgeting system. There are three plans ranging in cost from $9-70 per month and you get a free 30 day free trial. 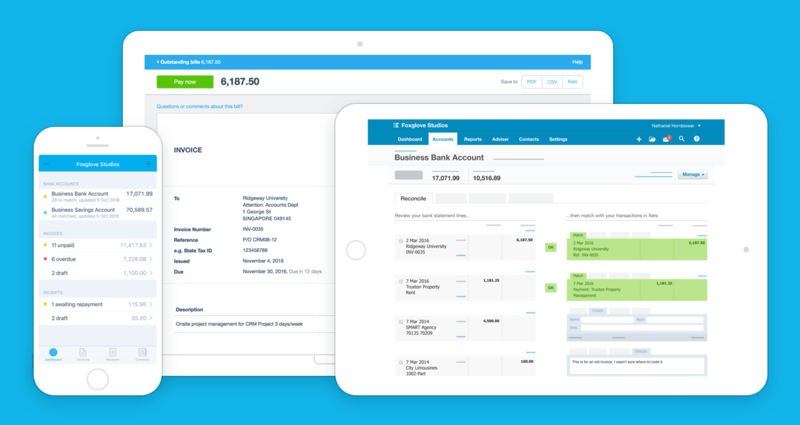 Xero can do the typical things a small business needs from an accounting program. Some of Xero’s features include invoicing, inventory tracking, standard and custom reports, payroll, bank reconciliation, expense claims, quotes, and sales tax. Not all features are available at every tier. There is also integration with hundreds of iPhone apps, like time trackers and point of sale apps like Square and PayPal so you can customize the system even more. Xero doesn’t put a cap on the number of users so all of your employees can access the service. Your bank accounts and credit cards sync automatically. You can also transfer data from other programs like Quickbooks. If you want to get value from Xero, you want to choose a plan above the Start Plan. You are allowed just five invoices and 20 transactions a month which is not going to be enough for most small businesses. If you need your accounting system to handle payroll, make sure your state is one supported in Xero, not all are currently. Wave is a cloud-based accounting, invoicing, and bookkeeping program. The program is free to use and comes with standard features like unlimited invoicing, expense tracking, personal and business accounting, and reporting. There are additional features available for a cost. Payroll begins at $15 per month plus $4 for each employee. You can process credit card payments through Wave for 2.9% plus .30 per transaction. The ability to separate and track both personal and business accounts in one place makes Wave a standout. Wave is suitable for very small businesses like freelancers or contract workers who don’t need all the extra features of more sophisticated programs. Despite some upgrades, there are still complaints about downtime. If you want tech support either by phone or chat, it’s $19 per month. If your business starts to grow, it may outgrow Wave. If you are just using Quicken for your personal finances, make the switch to Personal Capital. It does everything you need to stay on top of your finances. You will have access to great tools like the fee analyzer and asset allocation recommendations and the retirement planner. You can budget and keep track of your expenses and your investments in Personal Capital. It’s hard to beat free and convenient and Wave is both. Wave allows you to have your personal and business accounting in one place. Wave gives you much of what freelancers and contract employees need at no cost and is one of the easiest, most intuitive programs available. There have been no announcements that Quicken will cease to exist, but if you’re nervous, you have time to try out any of these options so if you have to stop using Quicken, you’ll know what program to choose.